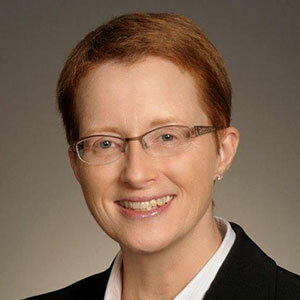 Erin Mahoney is Commissioner of Environmental Services for York Region, overseeing water and wastewater services, waste management, forestry, corporate energy for almost 1.2 million residents and 28,000 businesses. Erin is a Board member of the Water Technology Acceleration Project (WaterTAP) and past Chair of the Regional Public Works Commissioners of Ontario. She has over 25 years of public and private sector experience on projects involving water and wastewater treatment, environmental legislation, and public engagement. As an active member of the public works community she holds memberships with: American Water Works Association, Toronto Board of Trade, Canadian Chamber of Commerce and American Public Works Association.